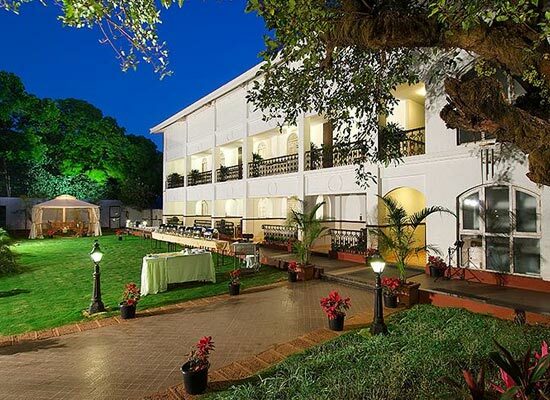 "One of the best heritage-style hotels in Mahabaleshwar, Hotel Citrus Chambers is erected on an old heritage land. The hotel has a delightful Colonial style of architecture. 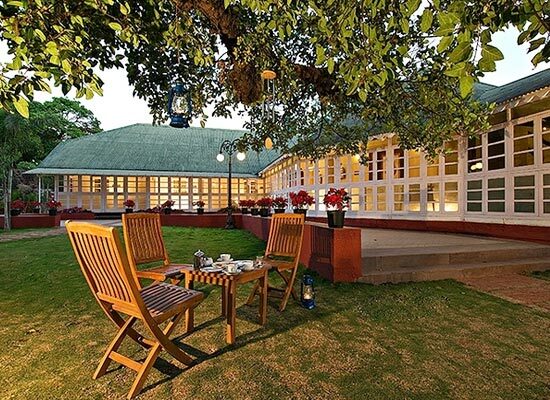 Covering an area of 5 acres of well-manicured land, it has a pleasing decor and the views are splendid. The hotel offers a comfortable stay to both business guests and leisure vacationers. The feel is like that of an English villa with azure blue water in the swimming pool. The rooms and suites come with all the comforts and the interiors are sophisticated. Accommodation at Hotel Citrus Chambers have been segregated into three categories- Superior rooms, Deluxe Rooms and Suites rooms. 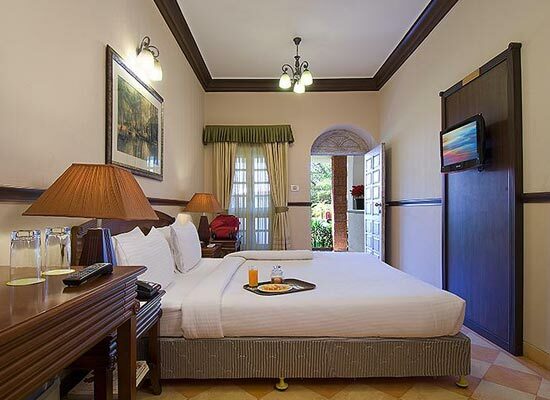 Every room is very well-equipped with contemporary comforts so that the guests can have a comfortable stay. Some of the modern amenities and facilities are air-conditioner, mini bar, Wi- fi facility, comfortable beds, room service, telephone, attached marbles bathroom with bathtub and complimentary toiletries etc. The décor is quite warm and the color palette is soothing. Spread in an area of 230 square feet, the spacious Superior rooms come with elegant and sophisticated décor with an amalgam of English architecture. The environment is quite peaceful and relaxing. Covering an area of 280 square feet, the capacious Deluxe rooms have all the modern comforts and a warm décor. The views from the room are simply wonderful. Sprawled in an area of 300 square feet, the Suites come with a huge living area and a sleeping space. The suites have a sophisticated décor and the color palette is quite refreshing. The ensuite bathroom comes with the Jacuzzi. Savor the fascinating views from your room. 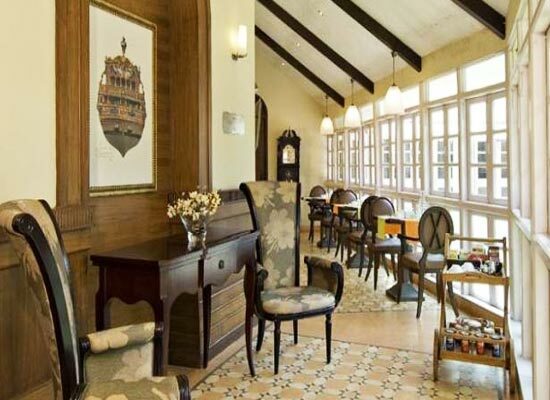 There is an on-site 24-hour coffee shop, Bisco, where the guests can savor lip-smacking delicacies of Indian as well as Mediterranean fares. The décor is quite warm and wonderful. Mahabaleshwar, lying in the Sahyadri mountain ranges, is a beautiful hill station of Maharashtra. The climate is wonderful here. 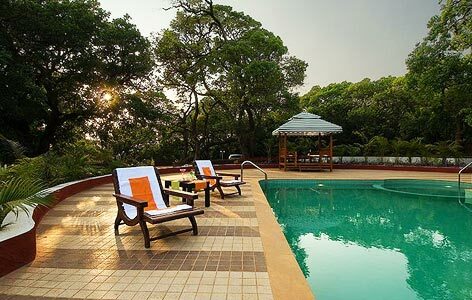 Some of the attractions of Mahabaleshwar that must be visited are Venna Lake, Mapro Garden, Pratapgad, Lingamala waterfalls, Elephant's Head Point, Parsi point, Lord Mahabaleshwar temple and Rajapuri Caves.